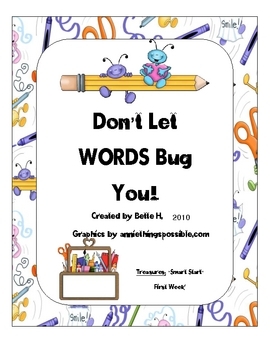 This activity can be used to teach Week 1 skills. 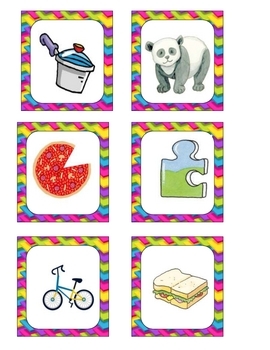 The child will name of each pictures and sort into beginning sounds using the Work Mats. 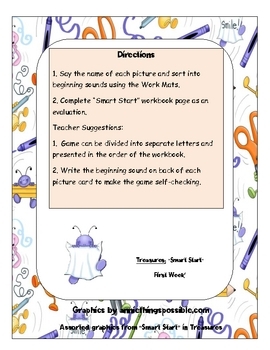 Complete "Smart Start" workbook page as an evaluation. 1. 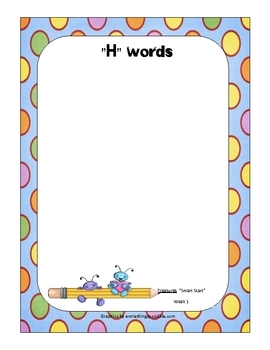 Game can be divided into separate letters and presented in the order of the workbook.